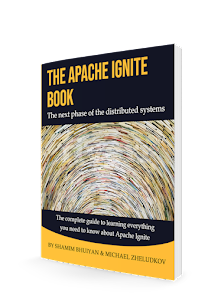 This week The apache Ignite book becomes one of the top books of leanpub. 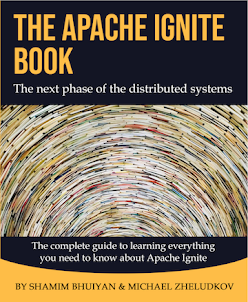 A new version of using Hibernate OGM described in the The Apache Ignite book. If it got you interested, check out the rest of the book for more helpful information. 2. JPA queries may not be suitable for NoSQL. 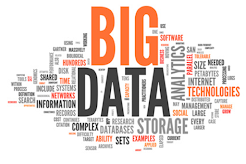 NoSQL data modeling is typically driven by application-specific access patterns. Note that, if your dataset is by nature non-domain model centric, then JPA is not for you. 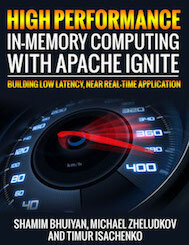 Anyway, Apache Ignite provides in-memory KeyValue store and it’s quite well fit for using JPA. Other NoSQL vendor like Infinspan, Oracle NoSQL, Ehcache also supported by JPA persistence as well. There are a few NoSQL/JPA solutions available in today's market. o One of the very first JPA implementations for NoSQL databases. o Supports Cassandra, MongoDB, Hbase, Redis, Oracle NoSQL DB etc. o Using Hibernate ORM engine to persists entities in NoSQL database. o Experipental support for Apache Ignite. • Clone and build the module Ignite for Hibernate OGM framework. • Create a new maven project for using Hibernate OGM with Ignite. • Persisting a few entities in Ignite through JPA. Let’s set up our sandbox first. Clone or download the Hibernate OGM framework source code from the GitHub repositories. We donot need these above modules in our project. Make sure that, you have the ignite module on pom.xml file. If everything goes well, you should have all the necessary libraries in your local maven repositories. Clone or download the ignite-jpa repository from the GitHub. If you create your own maven project, add this dependencies of your pom.xml. 1. The hibernate OGM Ignite module for working with Apache Ignite cache. This will pull in all other required modules such as Hibernate OGM core. 2. Hibernate JPA API to working with JPA. Our example domain model is consisted of two entities: Breed and Dog. The association between Breed and Dog is a ManyToOne. One Dog can have only one breed and so on. Now let’s map the domain model by creating the entity Java classes and annotating them with the required meta information. Let’s strat with the Breed class. The entity is marked as a JPA annotation of @Entity, while other properties such as ID are annoted by the @ID. By the @ID annotation, Hibernate will take care to generate the primary key or the key value for the entity object. @GeneratedValue UUID will generate a UUID value as a entity identifier. Create another class named Dog and add the following contents on it. We also annotated the Dog entity with @Entity and @ID annotation. Also we add one @ManyToOne annotation to make the association with Breed entity. The above class represented the Ignite Cache configuration, instead of using spring configuration. We have explained the cache configurarion in chapter one. Let’s create the persistence.xml file in /ignite-jpa/src/main/resources/META-INF/persistence.xml directory. First we have created a EntityManagerFactory with parameter “ogm-jpa-tutorial”. Next, we derived our EntityManager from the factory, this EntityManager will be our entry point for persistence entities. We opened a transaction from the EntityManager and create our Breed with name breed-collie. Persist the breed-collie with the entityManager persist() method. Also created an another instance of Dog: dina and associated with it breed-collie. Next we persist the dog dina in cache with the same method persist() and retrieve the instance by the find() method. Let’s build and run the application. Before run the class TestOgm, we have to run an instance of the Ignite node. Run the following command to start an instance of Ignite node. Two entries have been flushed into the Ignite cache and retrieve the dog Dina from the cache. Let’s explorer the cache through Ignite Visor. Two different cache has been created for the entities: Breed and Dog. If we scan the cache entries of the Dog cache, we should find the following entity on it. Entity Dina has been persisted into the cache with the key of the Breed collie. Unfortunately, Hibernate HQL or Search is not working in this experimental version of this Hibernate OGM Ignite module. All the hibernate features are under development and will be supported soon. All the works of this site is licensed under a Creative Commons Attribution-NonCommercial-ShareAlike 3.0 Unported License.